Introversion is not a curse, however it can feel like it is at times- especially when you are in an environment where most expect you to be outgoing! 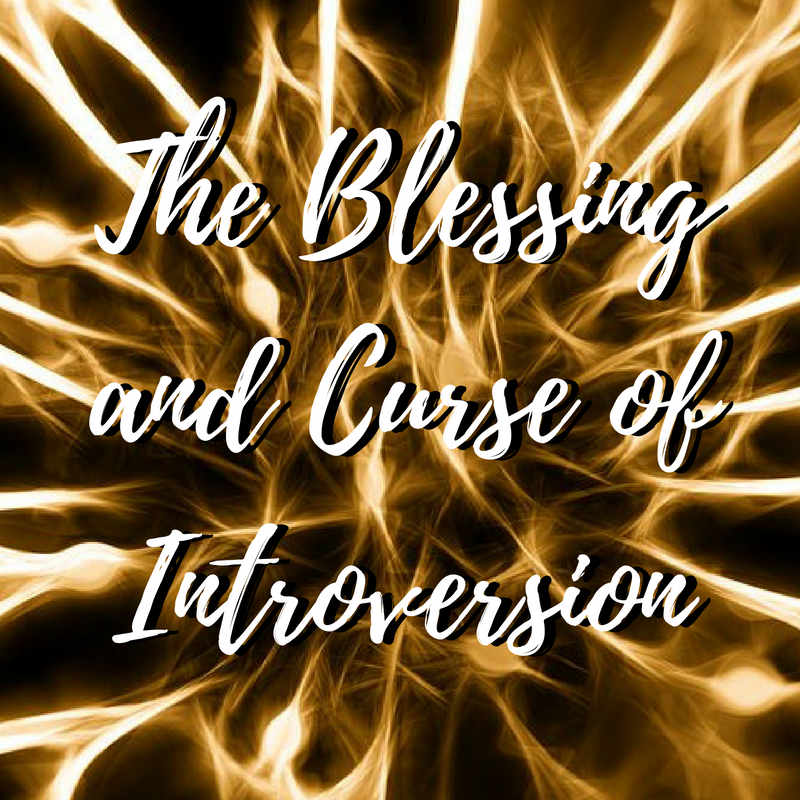 Today I propose that you look at your introversion as an asset you can use to your advantage that will set you apart from others (whatever you do and wherever you go). Being alone does not mean being lonely; in fact, time alone is directly correlated with a clearer mind, more focused work, increased creativity, and can often lift your mood. The only real difference between an extrovert and an introvert is the means of recharging. Extroverts prefer to be in groups for time to recharge or 'reboot'. Introverts, on the other hand, have a preference for time alone and reflection. This difference does not limit either group, but merely allows for diversified skill sets. As an introvert, your ability to observe lets you see things in a light that not many can. What goes unnoticed is your amazing talent for perception and understanding; it's time that this is utilized! Use your perspective to stand out and bring new ideas to the table. If you're into something as an introvert, you're likely VERY into it. I speak from personal experience. When I get interested in a topic, I can read every book I find on it and still crave more information. This means you're likely to be seen as a go-to for information, whether in general or in the realms of that which draws you in. In learning to appreciate solitude, you simultaneously learn to process things on your own. You learn to become self reliant and support your own needs; some people can't even easily identify their own needs. You can do that without much struggle at all. You don't need much encouragement or shoving to do what you want; it's all in your own head, and you thrive off of long spans of uninterrupted time. This leads to you branching out mentally, dreaming big. When you dare to dream bigger and get yourself in a mental state of abundance, so much can be achieved. Since you've got a knack for observing all parts of a situation, taking in all the various nuances and viewpoints, you're inherently amazing when presented with a problem to solve. You can come up with a balanced and thoughtful solution without TOO much effort, and may be more talented in this aspect than your extroverted counterparts. You know that advice, "Trust your intuition"? It's something that you especially should use to guide your actions. Introverts have a natural way of knowing what's good for them and what will end up draining them. Try listening to your gut feelings and doing right by yourself some more! Anything that you feel holds you back can be harnessed and transformed into something pushing you forward toward your goals. Introversion is one example of that, for sure. Your differences may prove to be a huge part of what makes you excel in your field when compared to more socially driven acquaintances. Know that who you are is crafted especially for something; you are perfectly prepared, perfectly equipped, for what you are meant to do. All that means if you don't see that synchronicity in your life is that you have to keep searching for your purpose. When you dive deep and look at what you feel most empowered doing, you'll find it- I promise. I used to struggle a lot with being antisocial, especially when it came to people I didn't know extremely well. I'm not saying you can learn to be an extrovert, but you can definitely learn to love engaging with new people. I'm no longer embarrassed to say that I would rather stay home than go out to parties on Friday nights- it's a part of who I am, and it's how I relax and recharge. Do not be ashamed of your introverted nature! It's a part of who you are and you can learn to wield it as an asset, despite common assumptions in our culture. You're no less just because you interact differently with the world.